Author: Gilbert, Anne Green. Publisher: NDEO (2002). 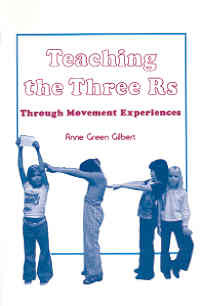 This book presents simple, clear activities for integrating movement into academic subjects including: language arts, mathematics, science, social studies, art, and music. Geared to the K-6 classroom teacher and preschool teacher with little or no movement education experience as well as physical or movement education specialists.